ha-Navi he-Hadash: Flera tips hur Israel måste vinna. Daniel Pipes. Varför försöker inte Israel vinna kriget? De ökar krigets lidaande för båda sidor genom att dra ut det i det oändliga. Många exempel. While reading Daniel Pipes's article on Israeli defense policy, it occurred to me that much current Israeli deterrence policy focuses on infrastructure and people ("A New Strategy for Israeli Victory," January). When Gilad Shalit was kidnapped, Israel captured numerous Gazan officials, but this had no impact because Hamas does not care about its people. When Hamas launched a war in 2014 involving kidnapping, rockets, and tunnel attacks, however, Israel responded by destroying Hamas infrastructure. 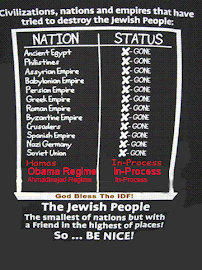 Over time, this had some impact, and eventually worked to Israel's benefit. 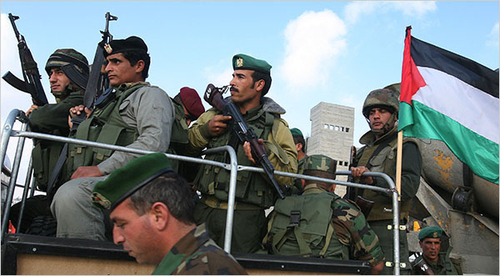 If Hamas or Hezbollah (the next likely assailants) launch a serious attack, the Israeli response should include confiscation and annexation of territory. This is what the Palestinians truly care about. They cannot abide a loss of territory. After a few rounds of attack-and-confiscate, they will get the message. It might even be possible to prevail, using this model, with fewer Palestinian fatalities. When it comes to analyses of the muddled Middle East, it is difficult to disagree with Daniel Pipes. Israeli Victory is a goal we certainly share. But how you can possibly win a war against a foe who, for fundamental religious reasons, will never accept defeat? Given the radical Islamist underpinning of Arab enmity toward the Jewish state and the fanaticism of its adherents, there is no Palestinian leader who could agree to any terms that did not inevitably lead to Israel's destruction. Are Palestinians too fanatical to be defeated?